What if a participant dies during a clinical trial? ICMR guidelines clearly mention that a participant must be insured for injuries and deaths. They bind ethics committees to review insurance documents before giving approval for the trial. Contract Research Organisations (CROs) and pharmaceutical companies say they ensure that participants are compensated in case of adverse events. Ground reality, however, is different. A recent report of a panel set up by the Centre to probe the compensation given to clinical trial victims states of the 671 reported deaths due to clinical trials in 2010, only three received compensation. The panel, headed by Maneka Gandhi, member of Parliament, found most companies had claimed the deaths were caused by underlying diseases, not because of new drugs. Of the 671 deaths, 158 were reported in trials conducted by Sanofi Aventis, a pharmaceutical company based in France, and 139 during the trial of Bayer, a Germany-based firm. Companies claim only 25 deaths were trial related. A government panel, which probed seven deaths due to HPV vaccine in Andhra Pradesh and Gujarat, stated in its report there was no mention of insurance cover in the pharmaceutical company’s trial protocol. “Instead of giving insurance cover to girls, non-profit PATH which conducted the trials got insurance cover for itself,” says Brinda Karat, Rajya Sabha member. “It raises concerns regarding inadequacies in the approval process and responsibilities of the approval bodies, including the ethics committees,” she adds. If participants show side-effects after completion of the trial, it is their responsibility to prove that the cause is the trial. 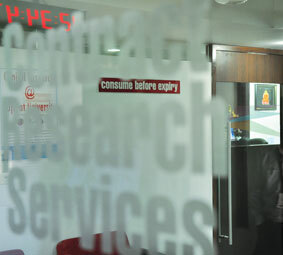 “There is a provision of ‘extended discovery period’,” says Deepali Rao of India Insure, consulting insurance firm which provides clinical trial liability insurance. This means participants are watched even after the trial is complete. “The time period could be from six months to a year, depending on the amount a company wants to pay,” she adds. In the US, the duration is generally two years. But if the company does not want to go for “extended discovery period”, the participant remains uninsured. In normal cases, the compensation amount can be finalised after discussions with the insurance company and the pharmaceutical company. If the participant does not agree he is given three months to go to court. This time period varies with companies. “But how many vulnerable patients have the time and money to enter into a legal proceeding?” asks Sengupta.